It has been called, “the ‘Citizen Kane’ of sports films,” a little piece of cinema that combines sweeping images of stadium pageantry, stirring music, sync-sound footage, and dramatic script lines like, “It starts with a whistle, and ends with a gun,” narrated by the great John Facenda. In 1962, Ed Sabol, founder of Blair Motion Pictures, bid $3,000 for the film rights to the NFL Championship Game. NFL Films has filmed almost every major event in sports: the World Series, the NBA Finals, the Stanley Cup Finals, the USTA U.S. Open, the Kentucky Derby, the Breeders’ Cup, Wimbledon, PGA Championship, the Davis Cup and the 24 Hours of Le Mans. 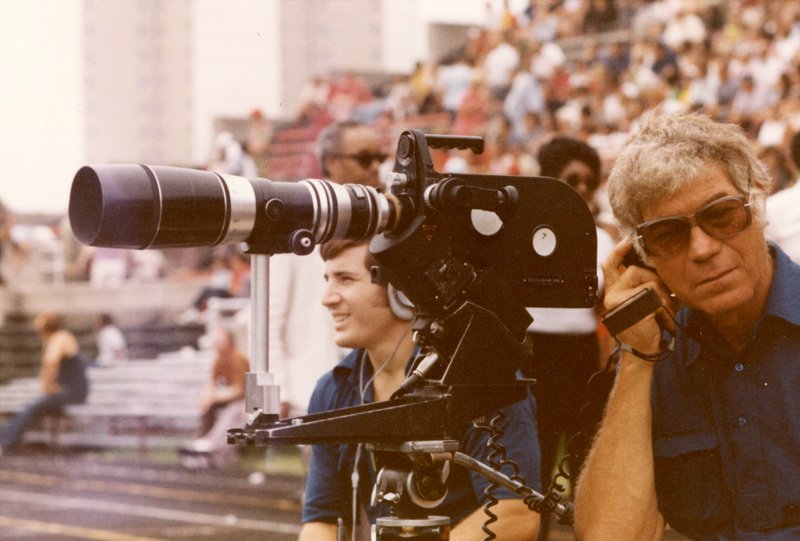 121 Emmys for Cinematography, Writing, Editing, Sound, Sports Series & Specials (40+ Emmys awarded to NFL FILMS President Steve Sabol including the Lifetime Achievement Award in 2003). The first Emmy was won in 1979 for Road To The Super Bowl. NFL Films has featured a “who’s who” of Hollywood stars as narrators, including Burt Lancaster, Charlton Heston, Mel Blanc, Orson Wells, Vincent Price, Martin Sheen, Laurence Fishburne, Alec Baldwin, Bruce Willis, Gene Hackman, Ed Harris and Donald Sutherland. Feature film credits include: Invincible, Jerry Maguire, Rudy, The Waterboy, Everybody’s All-American, Unnecessary Roughness, When Harry Met Sally, Black Sunday, Semi-Tough, Paper Lion, and Brian’s Song.